When you file a Notice of Claim or a Dispute Note, mediation can serve as a way to avoid long, expensive and tempestuous trial court deliberations. Defined by Canada’s Department of Justice, “mediation is negotiation between disputing parties, assisted by a neutral. While the mediator is not empowered to impose a settlement, the mediator's presence alters the dynamics of the negotiation and often helps shape the final settlement.” In other words, having a lawyer that is impartial to either side of the case, acting as a legal mediator, can guide you to a peaceful or, at the very least, calmer resolution that is fair to both parties. Without spending days in a courtroom trial or in arbitration you can avoid legal expenses piling up by preparing well for mediation and working toward a common goal. If you are dealing with a particularly painful subject matter, avoiding having to discuss these details in front of more parties and having them debated can also help reduce emotional distress. There are many reasons to seek mediation, and there are careful steps you can take to prepare for mediation, as well. As mentioned, mediation can help keep costs down during a delicate legal situation between two parties, as well as reducing emotional distress. Below are some more pros that relate to legal mediation, as well as a list of potential cons. We say potential as these won’t necessarily relate to every mediation situation, where as the pros can be true across the board. More private than trial and litigation. Less time consuming than trial, litigation or arbitration. Reduce animosity between parties (especially crucial when children are involved). It is easier to agree on third parties to help further with mediation than in trial. This is a negotiation, which means unique and specific outcomes can be arranged more easily than in trial court. Helps maintain peace when a continued relationship is needed or desired (business or personal). Can review and come to resolutions on many varied issues, something that may otherwise involve different trials and litigation. Legal precedents cannot be produced. Similar to the trial concern of a judge deciding your fate, you are at the will of your mediator to protect both parties best interests and guide you both fairly. Due to mediation being non-adjudicative, one party can manipulate mediation to avoid or prolong avoidance of trial and litigation. Power imbalance is a very real fear for many contemplating mediation. In cases involving manipulation and “power play” such as mental, physical and sexual harassment or discrimination, mediation may not work. This is because all boundaries that are set need to be agreed upon mutually and both parties have to trust that the other wishes to genuinely find the most positive solution. The most crucial step to mediation is genuinely agreeing to participate in the first place. Once agreed upon, it is imperative that both parties remain honest and open-minded, working towards a common solution. 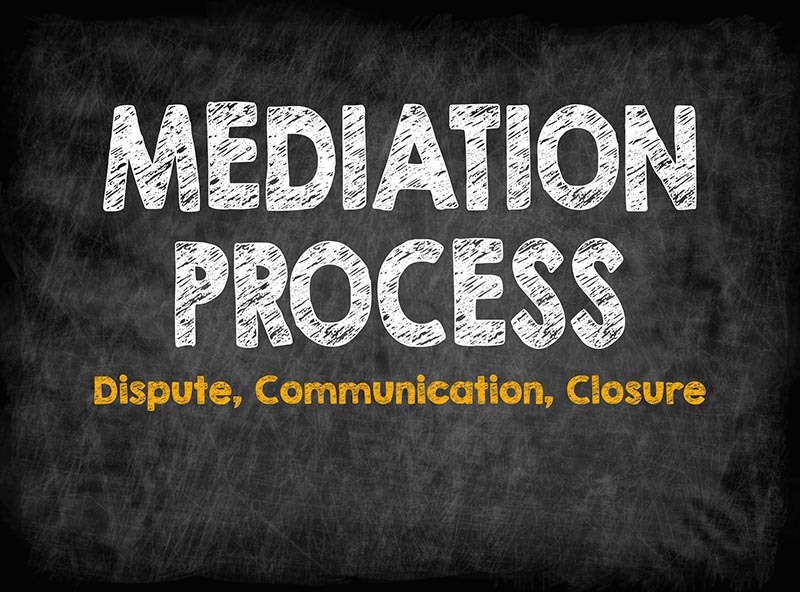 Below is a very general outline of how to set up and prepare for mediation. Bare in mind this can change depending on your exact situation, which our legal team is happy to assist you with. Both parties agree to mediation. Confirm the issue(s) that you mutually wish to resolve. Settle all mediation costs ahead of time, most typically a 50/50 split. Agree upon what third parties are allowed, other than the mediator, ie: accountants, psychologists, etc. Create a written agreement for if/when resolving the dispute takes place. This entry was posted in mediation matters and tagged edmonton law firms, law office edmonton by verhaeghelaw. Bookmark the permalink.